Description The Skytwister is an experimental helicopter based on the design of the Adams-Wilson Hobbycopter modified by Ben Showers. The most striking difference is the introduction of a tubular tail boom. The Skytwister, like the Hobbycopter, was only sold in blueprint form. 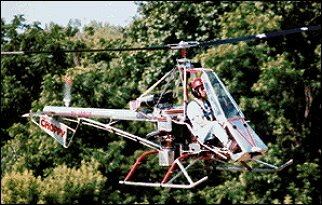 The Skytwister is an experimental helicopter based on the design of the Adams-Wilson Hobbycopter modified by Ben Showers. The most striking difference is the introduction of a tubular tail boom. The Skytwister, like the Hobbycopter, was only sold in blueprint form. Do you want to comment the Ben Showers Skytwister helicopter?